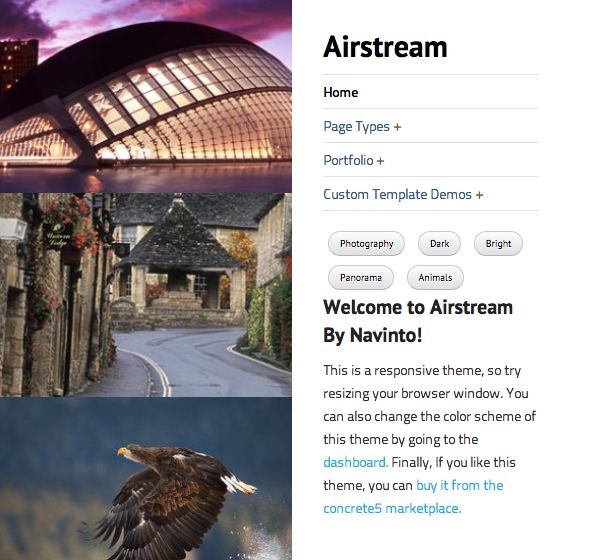 Airstream is a fully responsive theme designed to be viewed on any device. It takes advantage of the latest web technologies, including html5 and css3 to ensure your website is up to date. Airstream also offers a unique mosaic template that's perfect for showing off your photos and artwork to the world. With 2 color schemes and multiple options for further customization, Airstream gives your website a stylish but unique look.